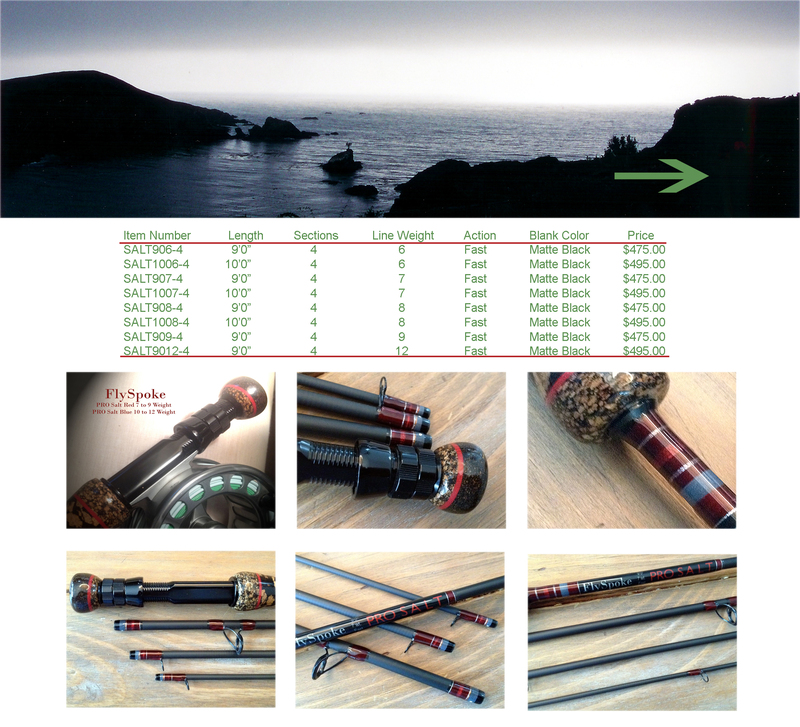 PRO Salt Single Handed Fly Rods are designed to deliver large flies in adverse conditions. They are made from fast action blanks with the guides place opposed to the blanks spline. Even though there is relatively little difference in guide placement this position offers the strongest forward cast. No advantage is too small to take from the beach or on the flats. All components are salt water resistant and expected to give you years of use. Our guides are heavy wire single foot salt water class with hard Nanolite insert stripper guides. Wraps are double coated using UV resistant epoxy. We measure our epoxy by the grain for an exact curing mix. When you cast a PRO Salt you will understand what a great fly rod should feel like.